This package comes with pattens and instructions for a bed (made with 1/4" foam core), dust ruffle, mattress and sheet. 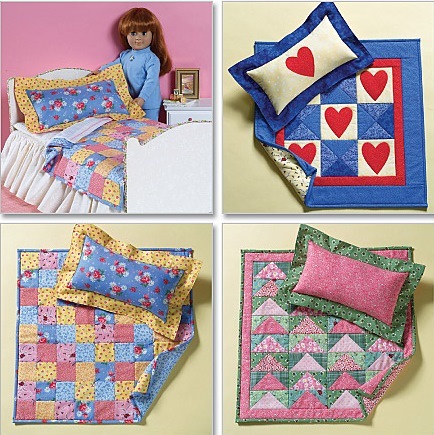 There are various quilts and pillows to sew for your 18" (or smaller) doll. Make your own dolly bed with her very own quilt & pillow!